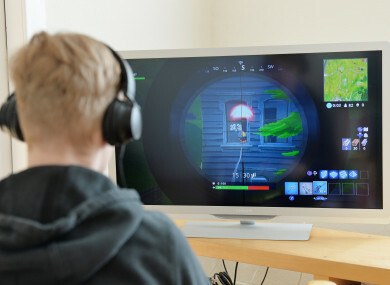 THE FRENZY OVER the phenomenally popular video game Fortnite may be easing, according to revenue estimates released this week by market tracker SuperData. The free online game’s revenue grew just 2% in July from the previous month – despite creator Epic Games releasing a new season of its “battle pass” offering digital perks and added challenges. However, some game industry insiders contend that the game’s typically school-age fans may just be on summer holidays – and could come back in force once they get back to class. Fortnite became an eSports phenomena after last year’s release of a free Battle Royale mode that lets up to 100 players vie to be the last character standing on ever-shrinking terrain. The game passed a billion dollars in revenue last month, after earnings from sales of digital items such as dance moves or avatar outfits climbed 7% from April to May. Fortnite – the star of Los Angeles’ Electronic Entertainment Expo video game extravaganza in Los Angeles in June – still remained the top money maker on consoles in July, according to SuperData. Players worldwide spent €7.08 billion on digital games in July, in a 3% increase from the same month late year, SuperData said. Email “'Fortnite' fever may be cooling - or it could be that the kids are just on their holidays”. Feedback on “'Fortnite' fever may be cooling - or it could be that the kids are just on their holidays”.